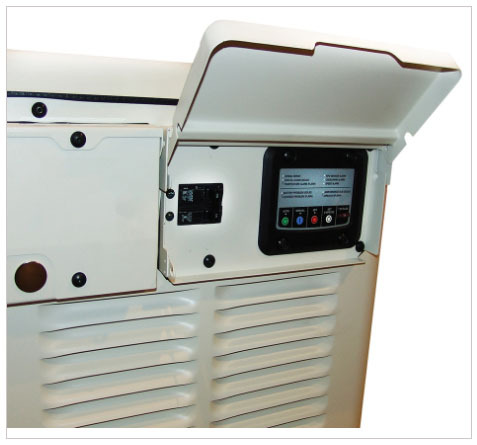 7,500 Watt Automatic Propane/Natural Gas Generator - Starts automatically when your power fails and transfers your electrical loads to generator power. When utility power returns, the system transfers back to utility power and shuts off the generator. 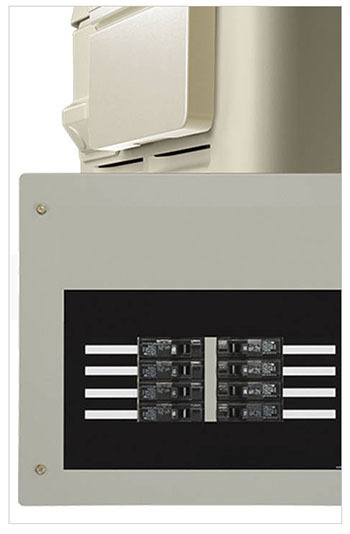 Includes weather protective enclosure, composite mounting pad (for easier installation), flexible fuel line connector to your propane/natural gas pipe, automatic transfer switch with 50 amp, 8-circuit load center and step-step installation guide with colored photographs. Protect the things that matter most...with an automatic system. 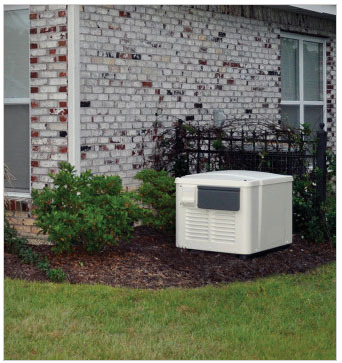 This 7,500 watt generator features a 420cc propane or natural gas engine, spin-on oil filter, low oil pressure shutdown, high water temperature shutdown, automatic voltage regulation, enclosed muffler, timed battery trickle charger and automatic 50 amp transfer switch with seven day exerciser. Fuel Inlet Pressure Nat. Gas: 5-7"